More than 50 positions of power have changed hands across the Australian channel in less than six months, as new leaders outline new priorities in 2019. 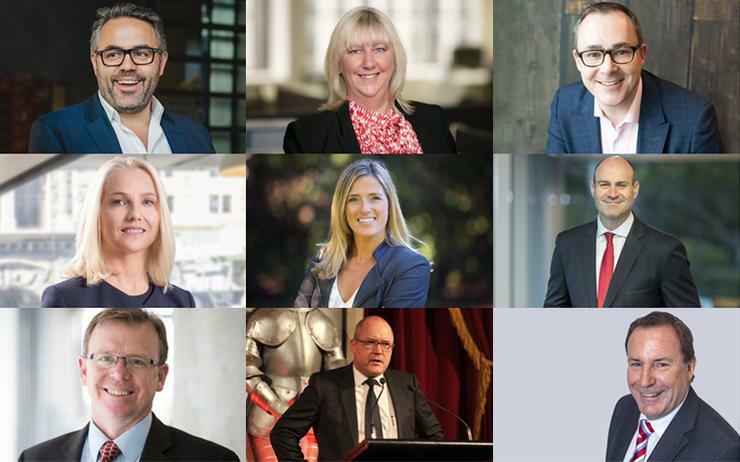 ARN can reveal that in the space of two quarters - starting 1 October 2018 - 20 new country leaders have been appointed at vendor level, alongside nine high-profile partner management changes. Not forgetting the change of more than 15 local channel directors amid a six-month hiring frenzy across the market. During the period of 1 October until 24 March, a new channel chief has been appointed every 10 days, at a faster rate of a previous recorded ARN average of 11 days. In the space of 174 days, that means a new channel leader is recruited every 10.2 days on average, or every 245 hours to be exact. Spanning partner and vendor organisations predominantly, other key personnel changes include executive leadership positions, C-level roles and heads of divisions. From a vendor perspective, new country leaders have been appointed at Citrix; HP; Lenovo DCG; NetApp and Oracle, in the form of Erin Butler; Mike Boyle; Nathan Knight; Paul Crighton and Valery Lanovenko respectively. Likewise, Ashley Wearne exited as Sophos leader - as Gavin Struthers assumed a regional leadership role - while Rob Dooley; Budd Ilic; Tass Melissinos and Dean Swan took local control of Carbon Black; Zscaler; MobileIron and Dropbox respectively. Maintaining the trend, new figureheads also arrived in the form of Robert Hartvigsen of CyberPower Systems; Stuart Rees of Software AG and Tim Ebbeck of Automation Anywhere, in addition to Michael Evans of Pegasystems; Anthony Clarke of Pivotal Software and Malcolm Ferguson of ConnectWise. Rounding off significant C-level vendor change, Andy Hurt is the new leader of Poly; Vaughn Madeley was handed the reins at Bitdefender; Matthew Lowe was promoted to run Ivanti and Lee Gale took control at Unit4. While not as frequent, key personnel changes also came at the top of partner organisations, evident through the departures of Julie-Ann Kerin as CEO of CSG and John Paitaridis as managing director of Optus Business. Likewise, new CEO appointments occurred in the form of Mark Culverson at NetSuite partner Klugo Group; David Dekker at SAP specialists Cubic Consulting; Kim Stewart-Smith at Salesforce experts Arxxus Technology Partners and Jason Delamore at software provider Fronde. In addition, Chris Greatrex was replaced in the hot-seat at Artis Group while Laurie Miller took over from Anthony Briscoe at Southern Cross Cable Network. Furthermore, EY appointed Jacqui Kernot as partner of cyber security with the remit of building out the consultancy giant’s capabilities in Australia, while Chris Price was recruited as general manager of product at Brennan IT, joining the technology provider from HP. Meanwhile, Brennan IT COO Dayle Wilson returned to Macquarie Telecom Group; Karl Sice vacated his role as head of Commercial and Federal Government at ASI Solutions and FTS Group hired former DXC Technology vice president Stephen Kowal as new CEO. Delving deeper, Interactive appointed Mike Bull as new director of cloud and managed services operations, who returned to Australia after vacating his role as country manager of Fujitsu New Zealand. Vaughan Bowen joined Adelaide-based broadband start-up Uniti Wireless as executive director; Melbourne-based technology consultancy, Cevo, expanded into New South Wales through the hiring of James Lewis and Ingram Micro national vendor sales manager Jan Bielecki left the distributor to join Winc as new regional sales manager. At a global level, Dimension Data CEO Jason Goodall was selected as the leading candidate to head up the combined NTT business, as the technology providers iron out integration plans. At the beating heart of the ecosystem, in the role of the channel director, more than 15 new hires occurred within six months, such as Geoff Wright of Huawei; Robert Gosling of Oracle and Joe McPhillips of BlackBerry Cylance, as well as Evan Thomas of Trend Micro; Klasie Holtzhausen of Symantec and Tim Fitzgerald of Fortinet. During a busy six months, Kaaren Lewis replaced Cybereason-bound Rodney Thorne as channel director of F5 Networks, as Lani Edwards took control of the partner ecosystem at Vocus Communications. At Microsoft, Phil Goldie announced his return to the Australian channel in a senior role running the small, medium and corporate business effective 1 April 2019, as Chris Bright revamped his devices team to drive channel growth. Channel leadership changes also occurred through Mark Walker at Vault; Gary O'Sullivan at AppDynamics and Helen Larcos at Talend, backed by the recruitment of Mert Mustafa at Check Point and Kathryn Ramanathan at Cohesity, alongside the departure of Daniel Sargent at Vertiv. During a quiet period for distribution on the job front, Westcon-Comstor appointed John Poulter as director of Comstor in Australia, tasked with growing business across Cisco, NetApp and F5 Networks.